Rehearsals have started for this one-man play all about the life and legacy of Amon Carter. Next month, the history of North Texas will come to life on the stage as the life of one the most influential people in the history of Fort Worth is immortalized in a play. The show will run from May 9 to 25 at the Artisan Center Theater on Pipeline Road in Hurst. Rehearsals recently started for "Amon! The Ultimate Texan." 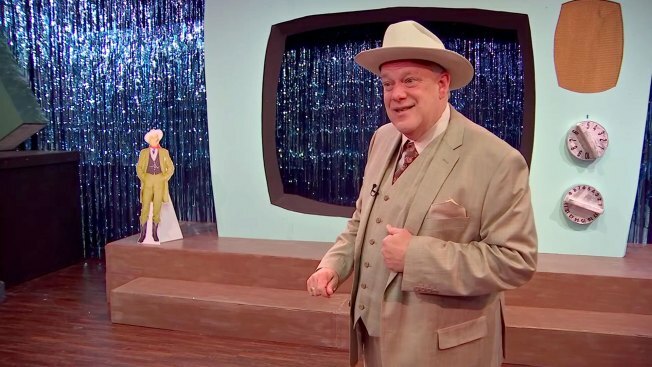 It’s a one-man play all about the life and legacy of Amon Carter. "Amon Carter was the Alexander Hamilton of our community. He’s the one we forgot. He’s Mr. Fort Worth," the play’s writer Dave Lieber said. "When I moved to Fort Worth 25 years ago I saw this great, charitable, volunteering spirit that I’d never seen in any city. I didn’t know why it happened and then I read a book about Amon Carter and saw that he’s the one who taught us how to be the way we are today." Lieber said he went through nearly 450 boxes of research and items from Carter’s life in an effort to capture the true essence of Carter. "[The play] has been in my head for 20 years, but I’ve only actually written it in the past two years," Lieber said. Actor Kelvin Dilks is tasked with playing the larger than life character of Carter. "The love of Texas is something I think all of us have. I think Amon had the love of Texas on steroids," Dilks said. "I don’t think I can ever be the same person I was. When I go down to Fort Worth now, it’s totally changed my perspective of Fort Worth after being a part of this show."